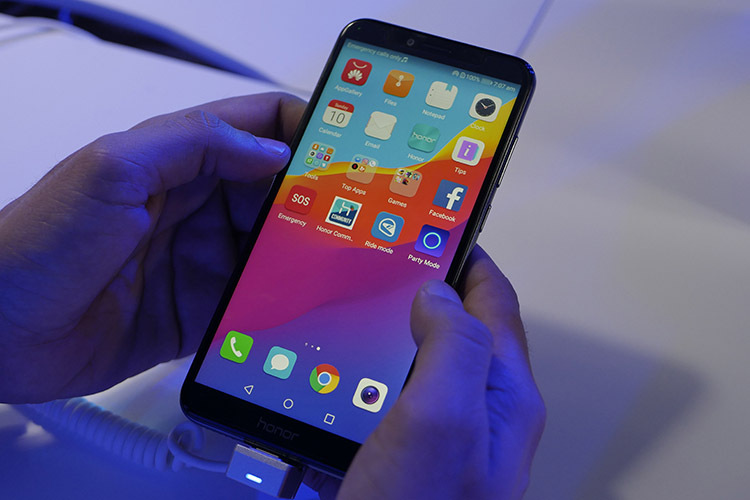 Honor 7A was released this week along with the slightly more powerful Honor 7C. 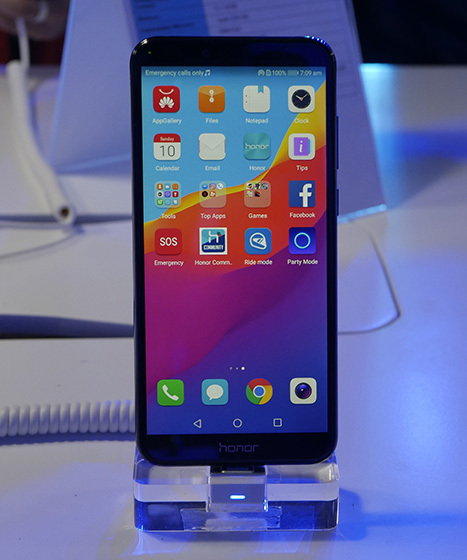 While the latter has better specifications, Honor has shown it understands the dynamics of the Indian budget segment and the Honor 7A is no slouch either. The company also proudly claims that it is the cheapest smartphone with dual rear cameras and this is indeed true if we limit the selection to renowned brands. The company also offers some exciting features that should attract the youth. Based on our interaction with the new Honor device, these are our initial impressions of the device. 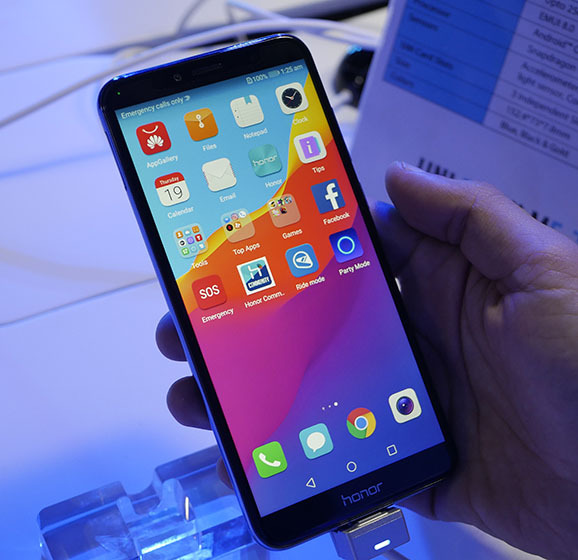 The Honor 7A resembles the more powerful sibling – Honor 7C – to quite an extent and the only noticeable difference in the smaller screen on the former (and thus, the slightly smaller size). The front carries a 5.7-inch LCD display with an HD+ resolution and an aspect ratio of 18:9. Above the screen is a wide-aperture 8-megapixel camera, the earpiece, sensors, and an LED notification light. The body is made out of aluminum and has a satin finish to it. The back features the same 13MP+2MP dual camera setup as the Honor 7C, along with LED flash. 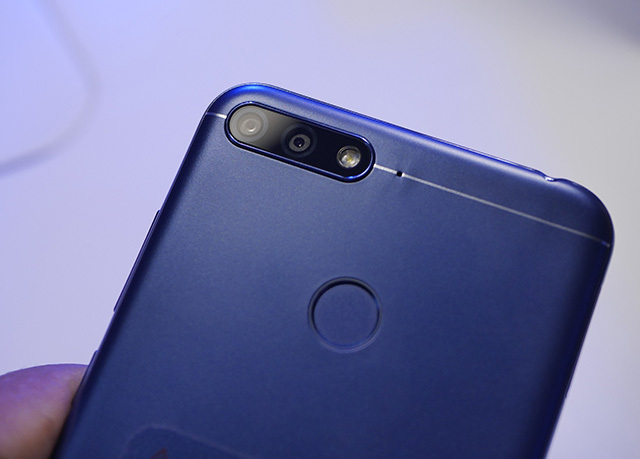 Unlike the Honor 7C though, which uses plastics on top and bottom, the 7A has a more seamless design with a more prominent secondary microphone. There is a fingerprint sensor on the back, just like the other device. 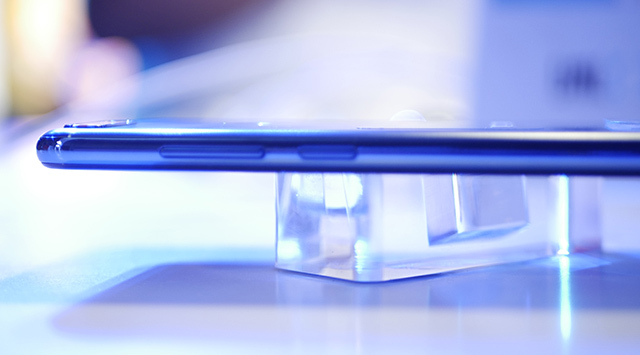 The Honor 7A varies from the 7C in terms of the placement of the headphone jack which sits at the top. At the bottom lie a mono speaker disguised under dual grilles on either side of the MicroUSB port. The HD+ display on the Honor 7A is not the best but it does justice to the price. It is slightly more crisp than the Honor 7C‘s screen and occupies nearly 75% of the front face – thanks to the 18:9 display. Although the price restricts our ability to complain, we hope the display was a tad bit brighter to enable better reading in daylight conditions. The colors are vibrant but might make the display appear over-saturated in certain scenes. As I said above, we can’t really complain much, given the price. The 13MP+2MP camera on the Honor 7A is the second dual camera in the sub-Rs 10,000 segment (we have also seen a dual camera on the 10.or G earlier in this budget). It is likely to be the same setup on the Honor 6X from 2016, but is a welcome addition in the price bracket. The secondary camera is used to create a bokeh effect by blurring out the background. The camera does a decent job when objects are well-lit but in indoor or dark lighting, it might fail to make clear separation between objects. The interface is the same as the Honor 7C and you do not get a lot features to play with – not even a pro mode. But at this price point, we do not expect a lot of expertise from the device. The selfie camera is an f/2.2 8-megapixel shooter which can take sufficiently clear selfies. There is no bokeh mode in the front and the beauty mode does not seem to be as harsh as the Honor 7C. In terms of hardware, the smartphone is equipped with a Snapdragon 430 chipset. The chipset is paired with 3GB of RAM and 32GB of internal storage. The smartphone also comes with a non-hybrid SIM slot, meaning you can use two SIM cards along with a Micro SD card to extend the storage up to 256GB. Honor 7A draws power from a 3,000mAh battery which should last well over a day. This is because, aside from the battery-efficient HD+ display, the smartphone comes with battery optimization features. The company bills it as one of the loudest smartphones out there and we can vouch that it was louder than our current crush – the OnePlus 6. In spite of its pricing, the Honor 7A does not undercut the software and is powered by EMUI 8.0 based on Android Oreo 8.0. The device comes with clever features like face unlock, split screen, and “iAware” smart management to optimize performance and free up resources. 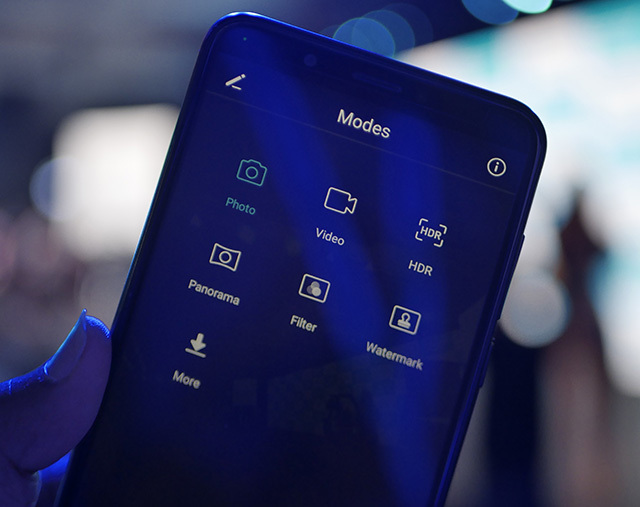 The smartphone has a special feature called “Party Mode” which appeal to the party animals in the crowd. Using the feature, you can connect up to six additional devices (currently limited to Honor 7A) over Wi-Fi and play the same audio. 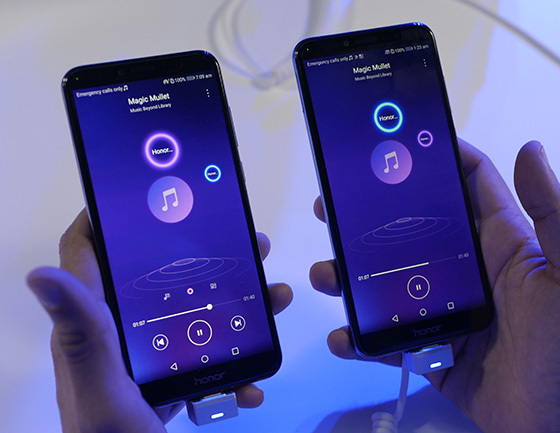 The best feature is you can control the spatial orientation of the setup and assign locations to each phone to achieve a sound similar to a 7.0 surround sound channel. The Honor 7A comes at a competitive price of Rs. 8,999 and will be available via Flipkart starting May 29. At this price, it should compete against the Redmi Note 5, Redmi Y1, and RealMe 1. The distinguishing factors which give it an edge against the competition are its dual cameras and the ingenious party mode. We can’t wait to spend more time with the device to give you a more in-depth review of its functioning and features.